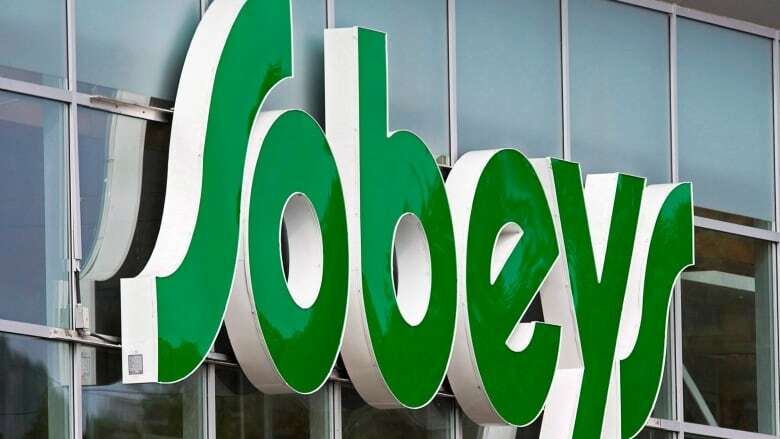 The parent company of grocery chain Sobeys Inc. was "a little slow on the trigger" to pass on the higher cost of food to consumers due to tariff costs, but it will inevitably happen in the future, Empire Company Ltd. CEO Michael Medline said Thursday. "It's clear with what's going on in terms of transportation cost and tariff-related cost that our expectation — although we're not economists — is that there will be some inflation," he said during a conference call with analysts after the company released its first-quarter earnings results. Multiple suppliers send the company letters each week wanting to pass on price hikes due to recently implemented tariffs, said Medline. The Canadian government announced it would impose retaliatory tariffs on July 1 on a wide range of American products in response to U.S. tariffs on some Canadian steel and aluminum products. The Canadian government targeted yogurt, coffee, maple syrup, cucumbers, salad dressing and other food items. Rising freight charges and increases in minimum wage in certain provinces are creating additional pressure, Medline said. Empire will do everything it can to stave off price hikes, he said, but admitted the company will need to pass some through in order to remain competitive. Sobeys' biggest competitors have made similar predictions. Loblaw Companies Ltd. CEO Galen Weston Jr. and Metro Inc. CEO Eric La Fleche predicted higher prices in the near future due to the tariffs during their most recent quarterly earnings calls with analysts. Medline's comments came as the company reported a first-quarter profit of $95.6 million, up from $54 million a year ago, when it was hit by $28.7 million in costs related to its Project Sunrise cost-savings plan. The program is aimed at finding $500 million in cost savings, of which $100 million was realized in the quarter, said analyst Irene Nattel of RBC Capital Markets. "Realization of savings 1/8is 3/8 a key driver of margin growth, but first-quarter results demonstrate that Empire is stepping up focus on regaining lost ground on market share," she wrote in a report. The profit amounted to 35 cents per share for the quarter ended Aug. 4, compared with a profit of 30 cents per share in the same quarter last year. Sales totalled $6.46 billion, up from $6.27 billion. Same-store sales excluding fuel sales were up 1.3 per cent, compared with a 0.5 per cent increase in the same quarter last year amid its best tonnage or unit sales growth in six years. The improvement was partially offset by the deflationary impact of drug reforms and the wind-down and closure of 10 stores in Western Canada during the quarter. On an adjusted basis, Empire said it earned $100.2 million or 37 cents per share for the quarter, up from $87.5 million or 32 cents per share a year ago. Analysts had expected an adjusted profit of 42 cents per share, according to Thomson Reuters Eikon. Empire's shares lost 77 cents or 3.1 per cent at $24.29 in afternoon trading on the Toronto Stock Exchange.